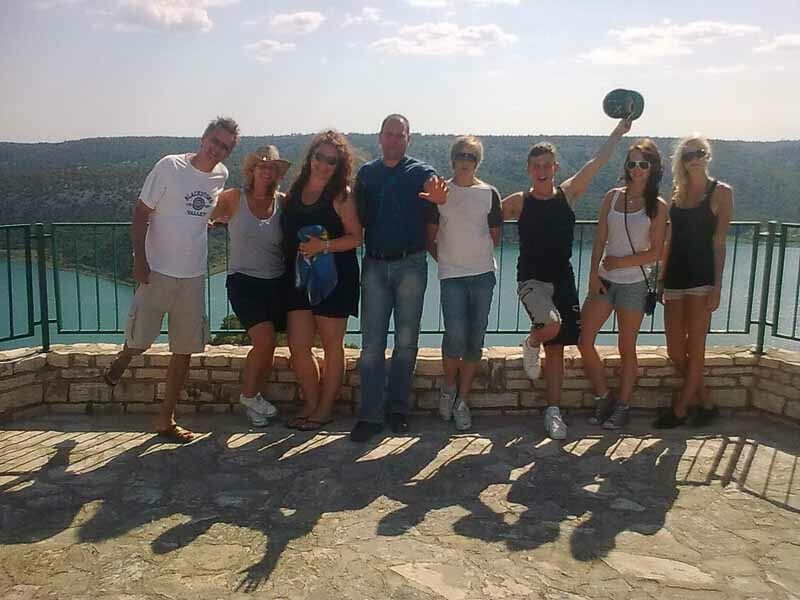 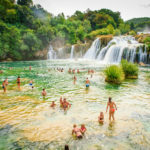 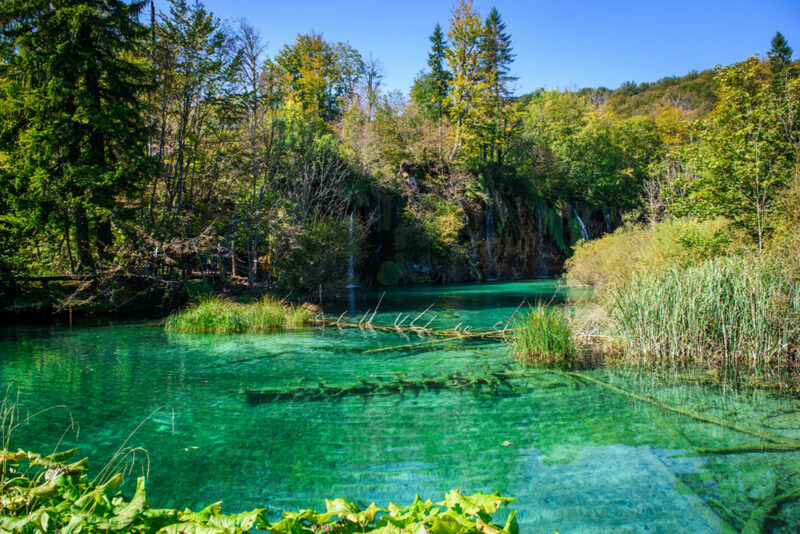 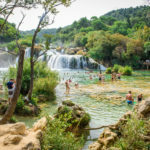 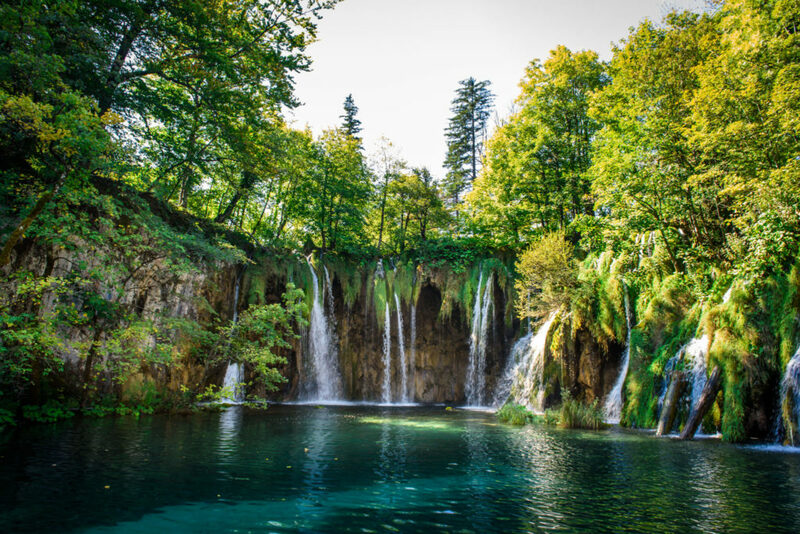 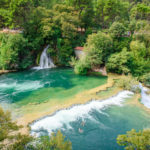 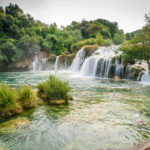 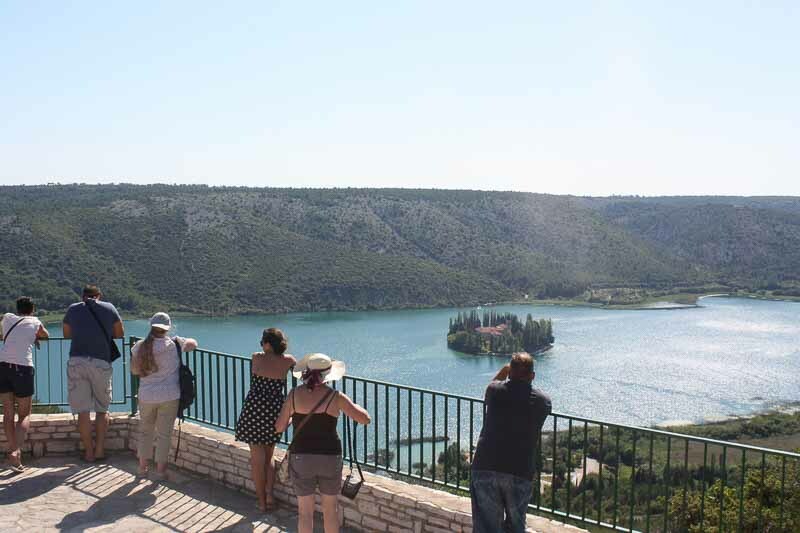 The most popular day trip from Split/Trogir - A rare chance to swim near the waterfalls and enjoy a UNESCO World Heritage cathedral - Wonderful views and scenery on a day to remember. 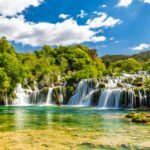 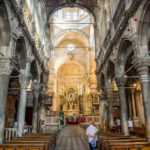 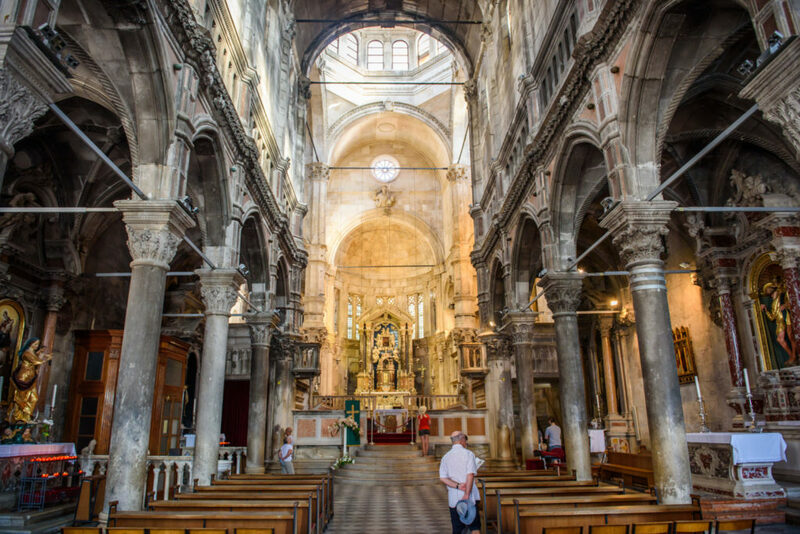 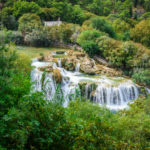 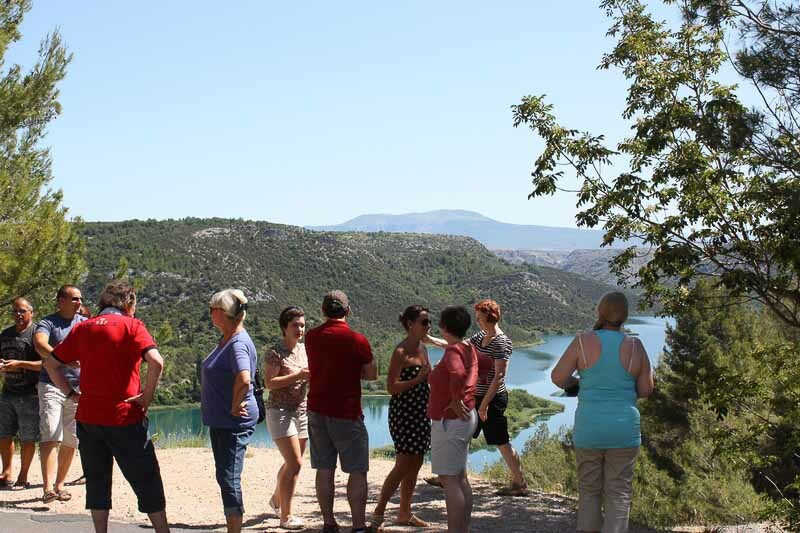 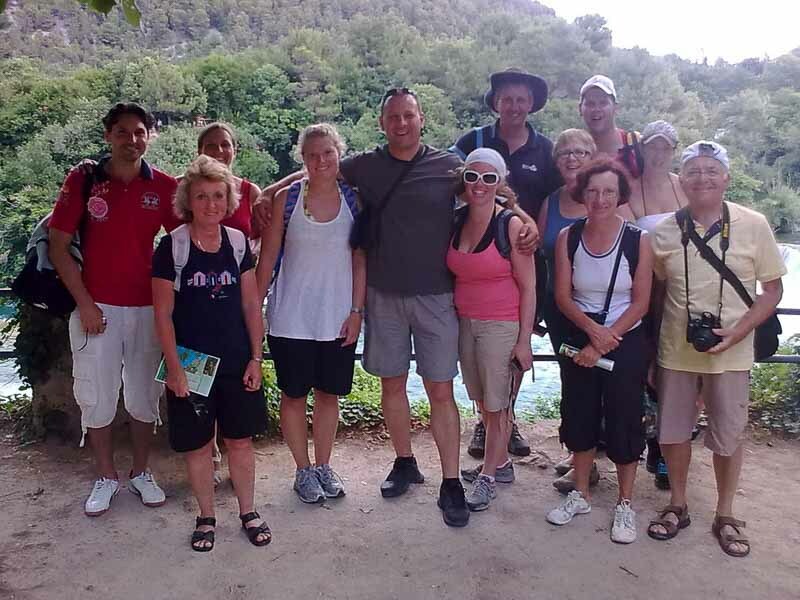 After picking you up at the pre-arranged meeting point our excursion to one of the most popular sites in Dalmatia begins by driving along the border between the coast and the hinterland. 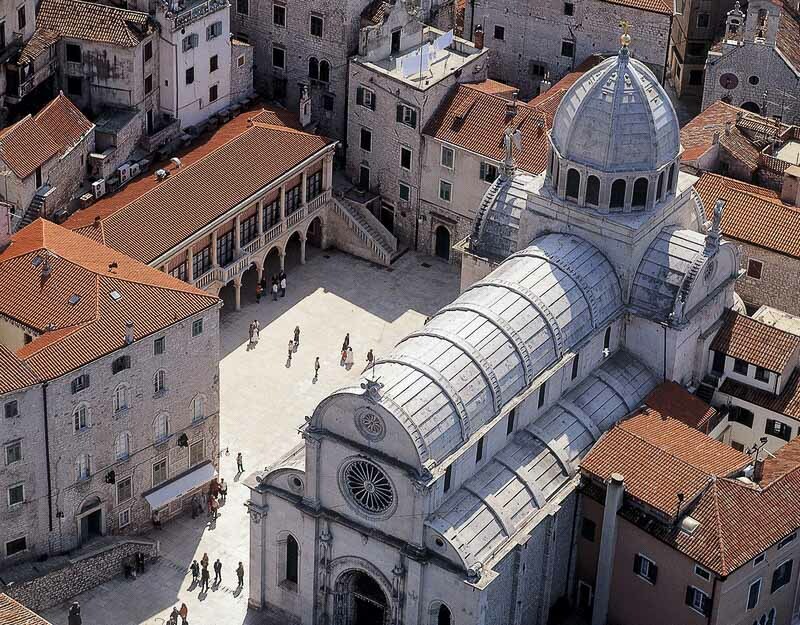 In less than an hour, you will be greeted with a breathtaking view of the town of Trogir and Split surrounded by the sea and a landscape filled with greenery, village households and life. 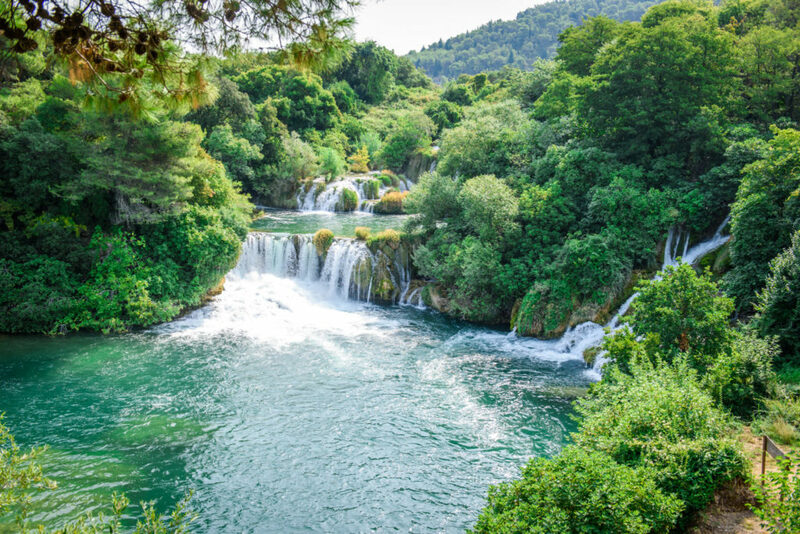 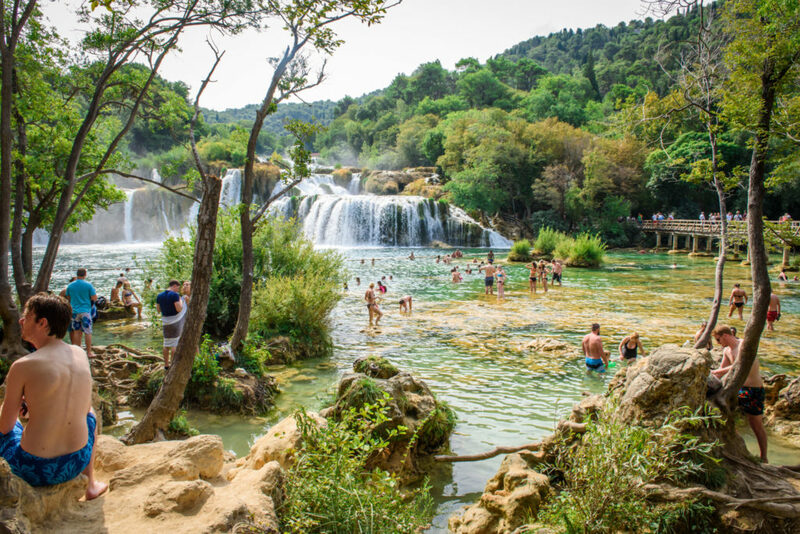 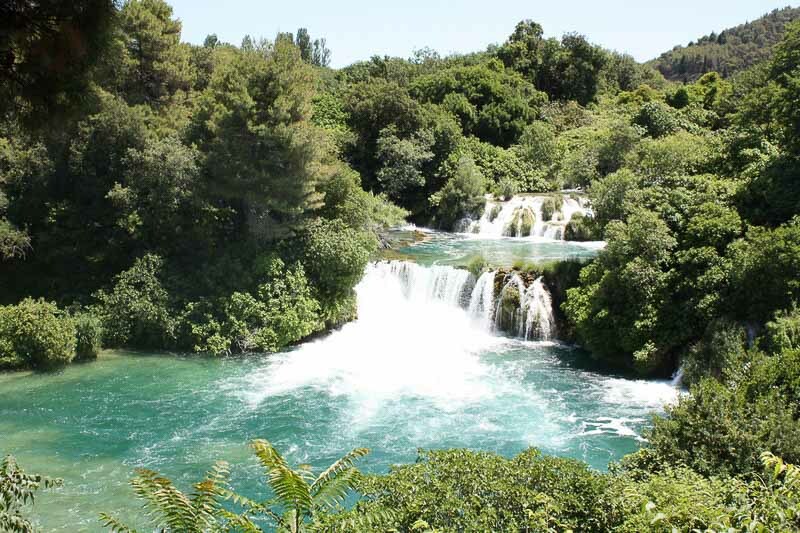 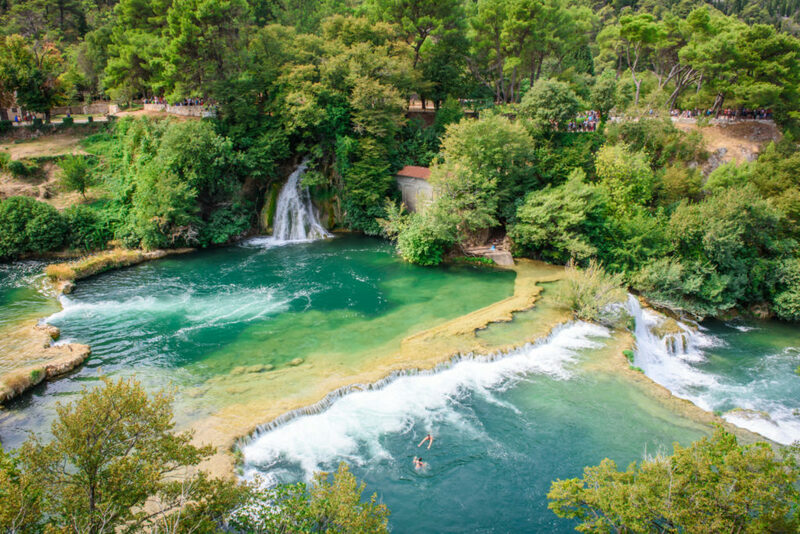 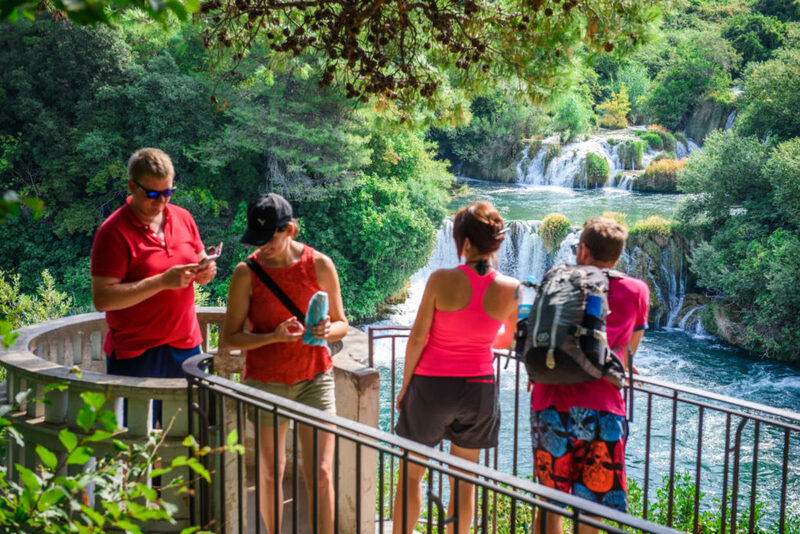 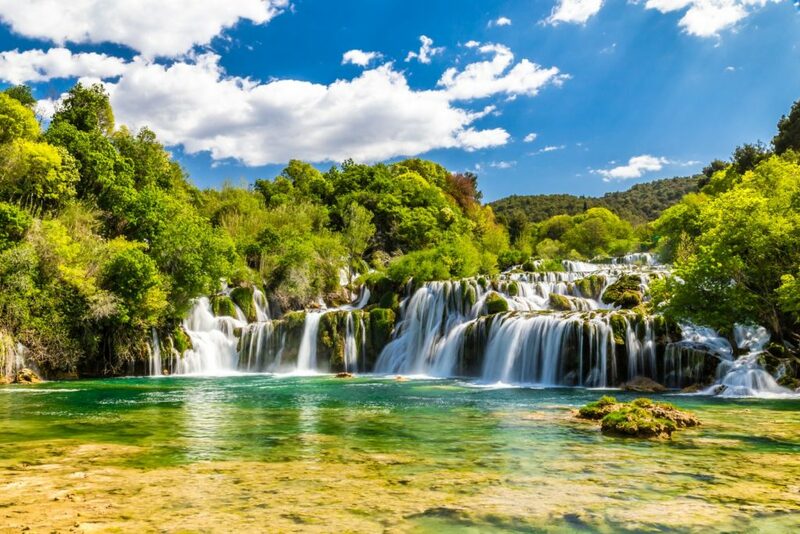 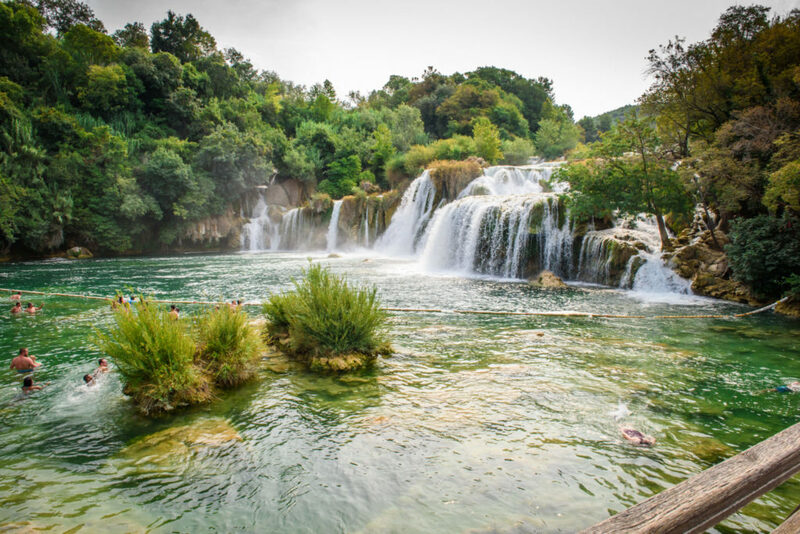 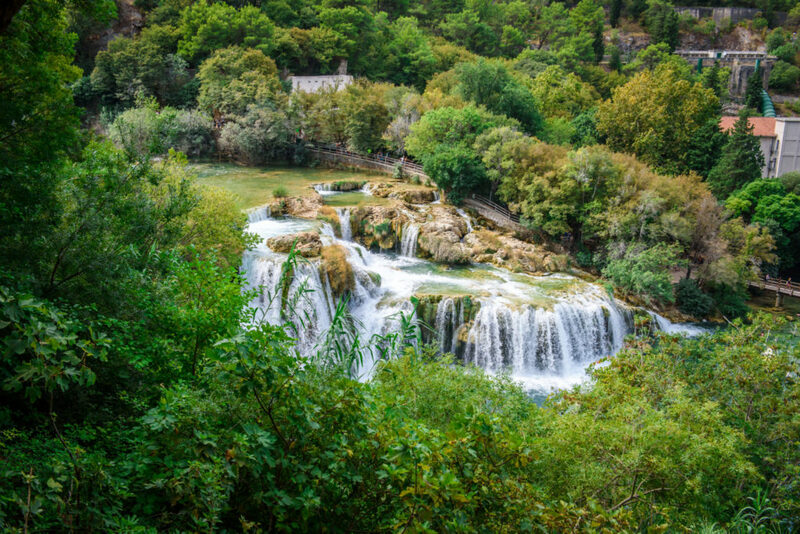 Then it's on to Krka National Park and Skradinski buk, one of the best known natural beauties of Croatia. 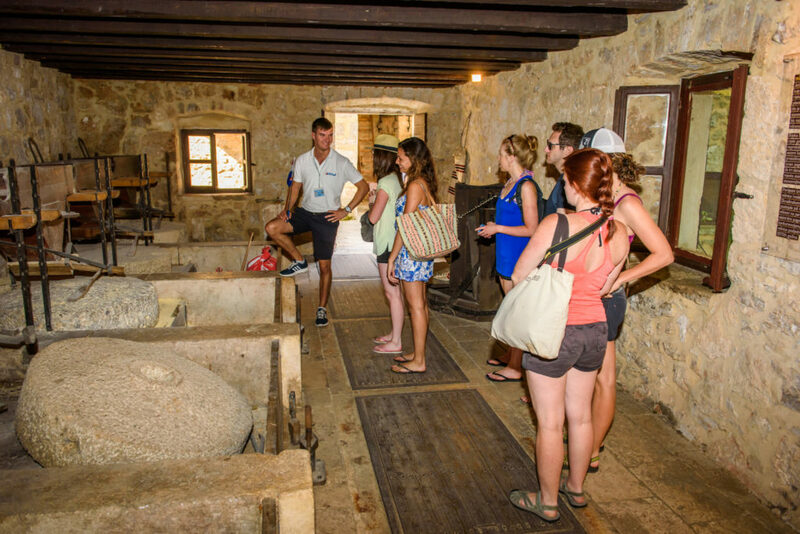 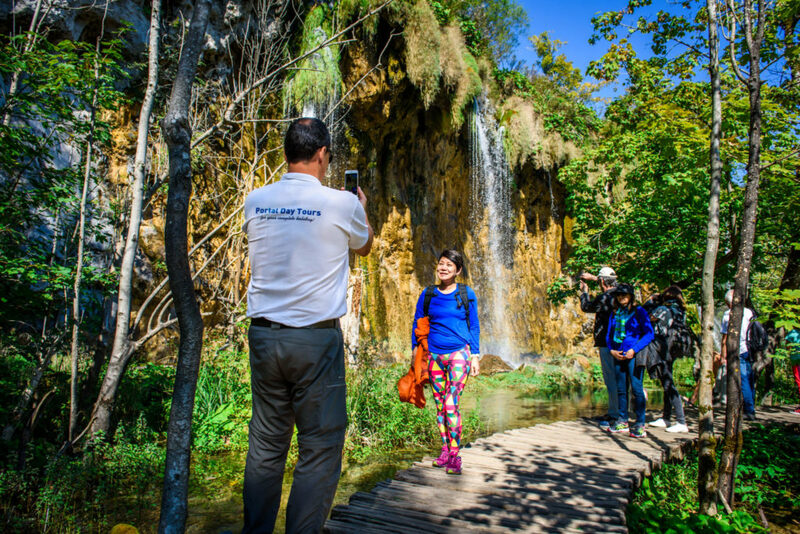 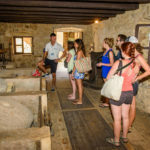 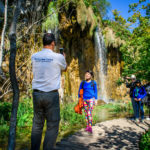 Our professionally-guided tour includes a fascinating walk through an authentically restored ensemble of small stone houses, workshops, exhibits and watermills which show how water was used to make village life possible and sustainable centuries ago. 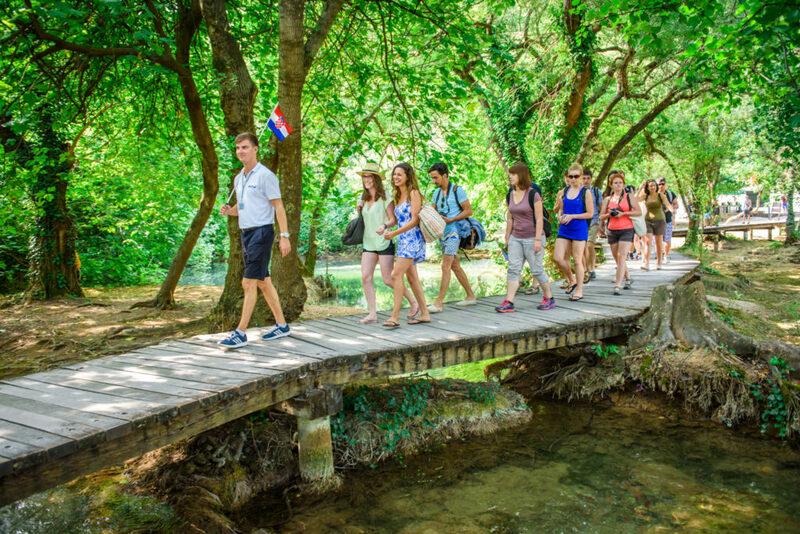 Then we'll begin our nature walk to enjoy the rich diversity of flora and fauna through a network of forest pathways as well over wooden bridges. 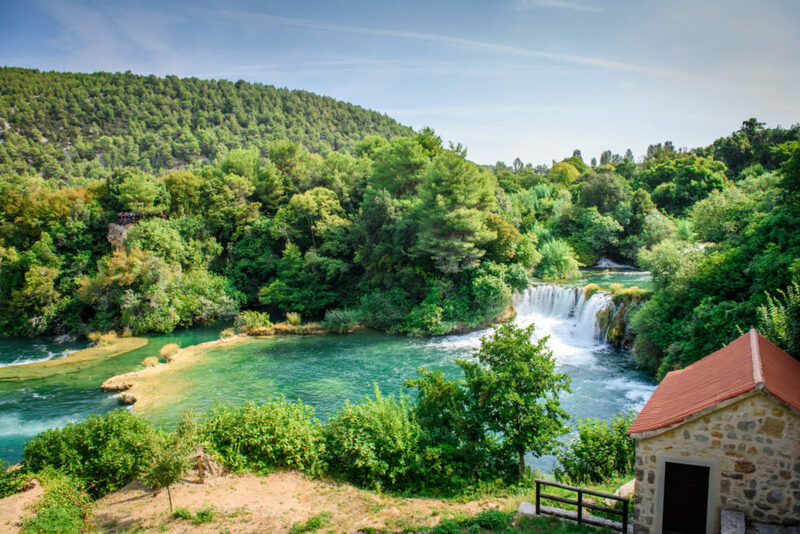 After about 90 minutes, our transport will then take you to Roski slap, a beautiful, quiet, untouched natural preserve perfect for swimming and relaxation. 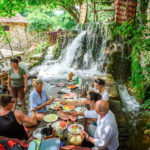 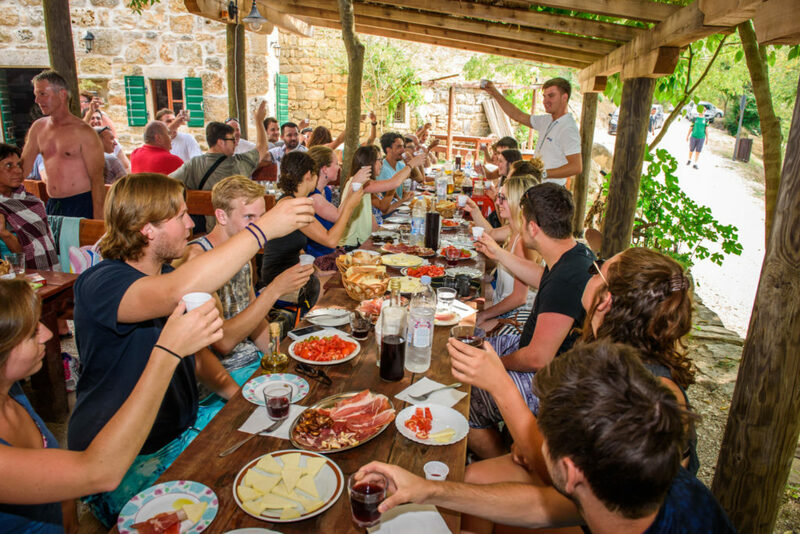 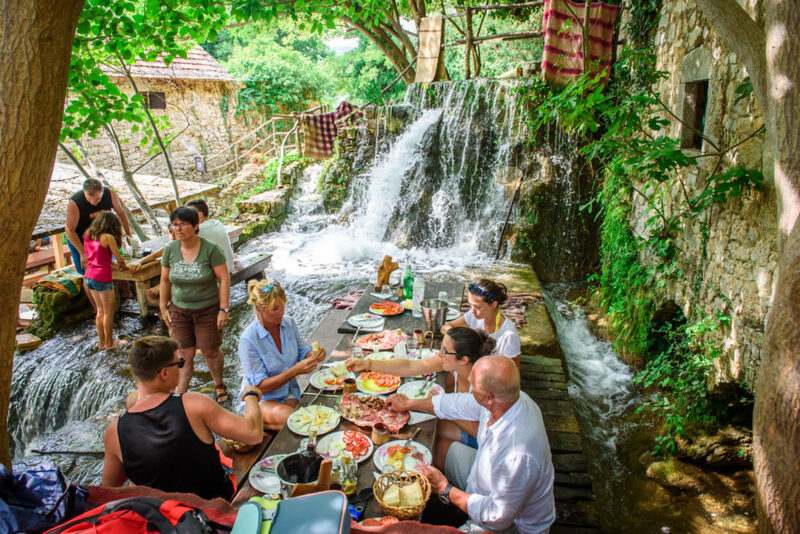 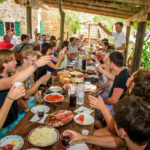 After the break you will have the opportunity for an optional lunch in a typical Dalmatian konoba (tavern) where you can taste local delicious traditional food like prosciutto, cheese, hearty bread and wine and local fruits and vegetables. 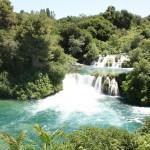 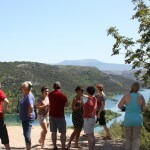 After lunch, we will take a road that leads us up to one of the most exciting Krka River canyons. 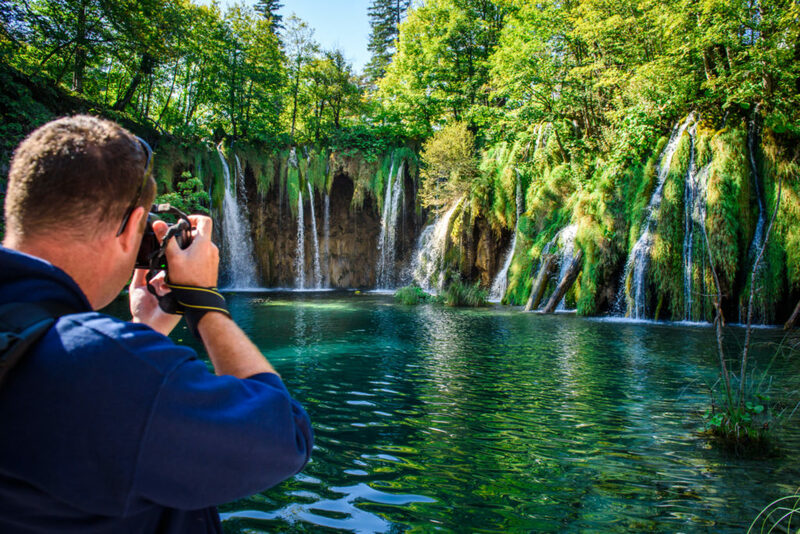 Along the way you will enjoy the same kind of breathtaking views that professional photographers capture to illustrate Croatian tourist brochures—like the panorama of Visovac Island. 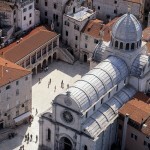 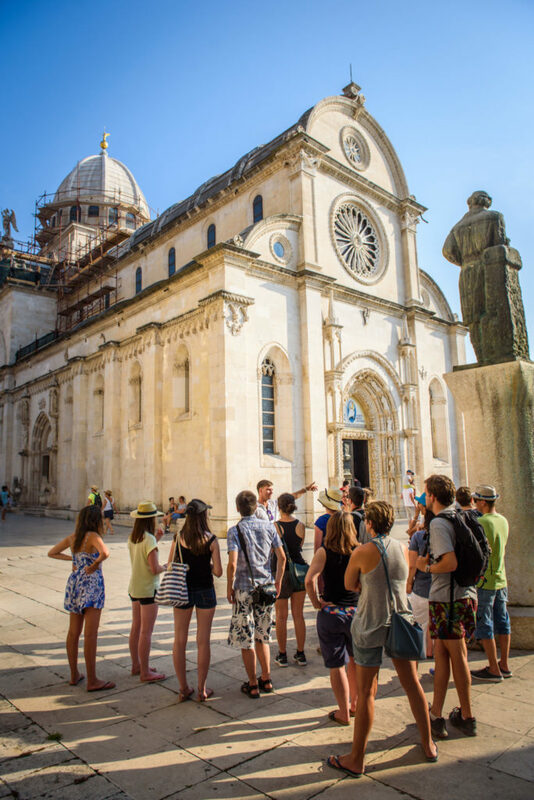 Then we say good-bye to the Park to continue our trip to the seaside city of Sibenik, to see its main attractions - including St Jacob’s Cathedral, which is a UNESCO World Heritage site. 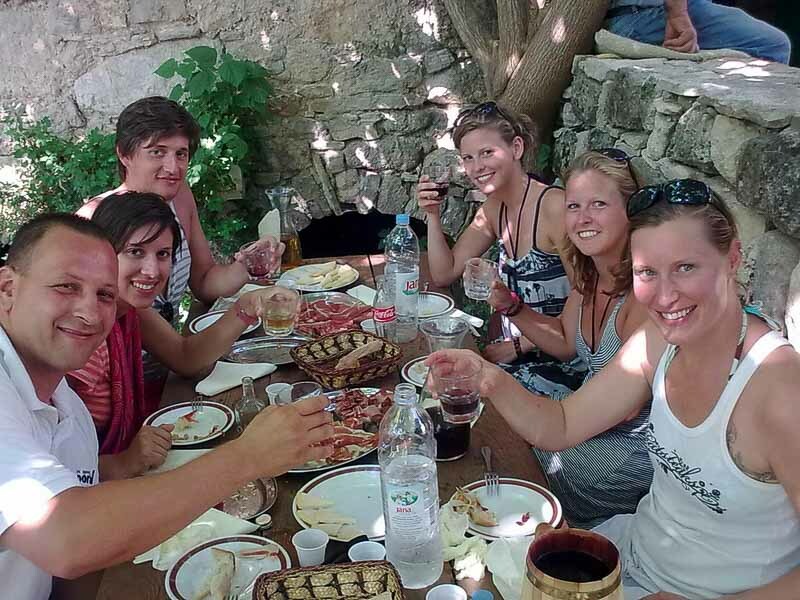 We will return home along the beautiful coastal road, passing by picturesque villages, such as Primosten and Marina, and beautiful offshore islands. 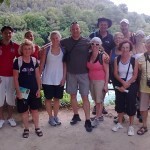 Sportswear, bathing suit, suncream, sunglasses, towel, comfortable walking shoes or sandals, additional change of clothes. 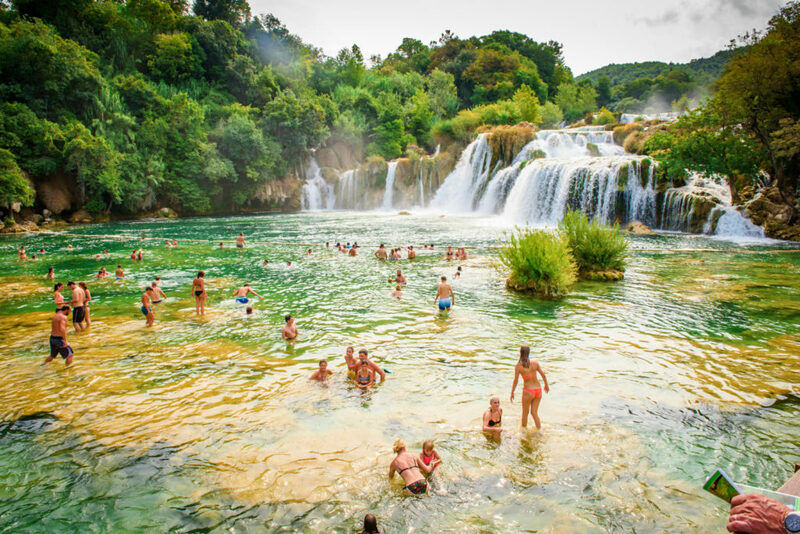 Outside the summer months we recommend you also bring a warm sweater.